Like all creatives I'm easily bored, and so was some time that I was wondering on the idea of changing CartEssenza's stand: in fact my bijoux lines, in the meanwhile, evolved, and I worked on packaging too (I'll talk about this in the future), so dark colours and disposition I choosed as first was not anymore good for what I want to spread to the public. 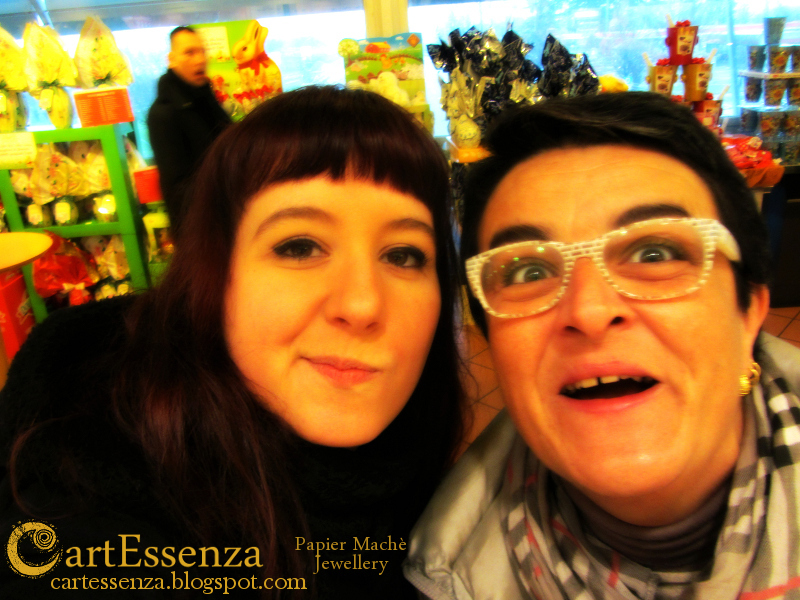 So I took the occasion of being at Carrousel in Milan last sunday to give a new image to my stand. 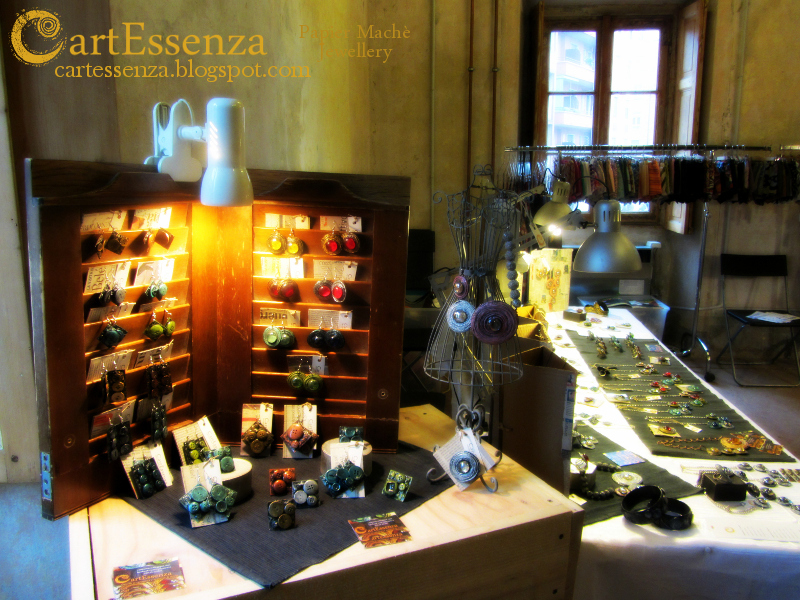 I only needed some ideas and a bit of luck, and new furnitures appeared on my table: in this photo you can see a fantastic little furniture I found in a little used things market; it's perfect to keep all CartEssenza's brooches, don't you think? 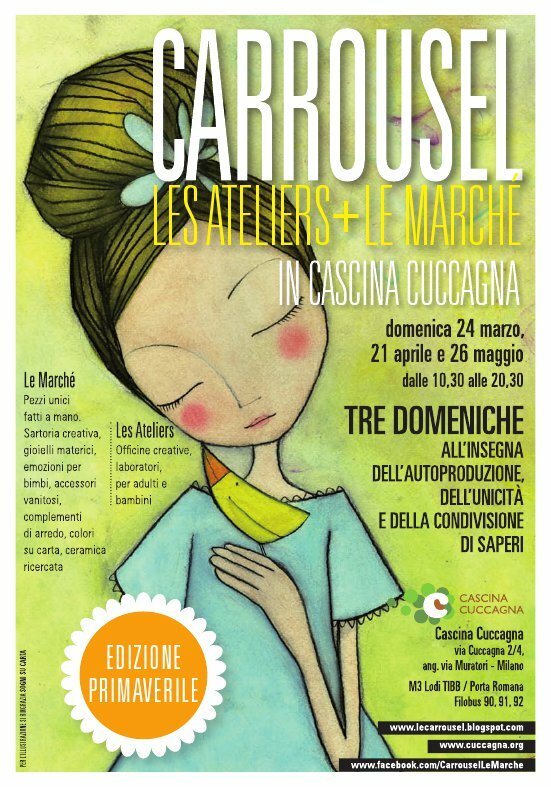 New CartEssenza's stand dedicated to recycle and recovery! Then the bit of luck I talked you about: put the chance of walk under your home and see near trash bins two little abandoned wood shutters.You don't know what to do with them yet, but you feel you have to take them with you...then, while you have them under your arm to take them home, suddenly you think you can transform them in a beautiful display for earrings. And so, with a little help from my Dad (that I thank again! ), here it is! 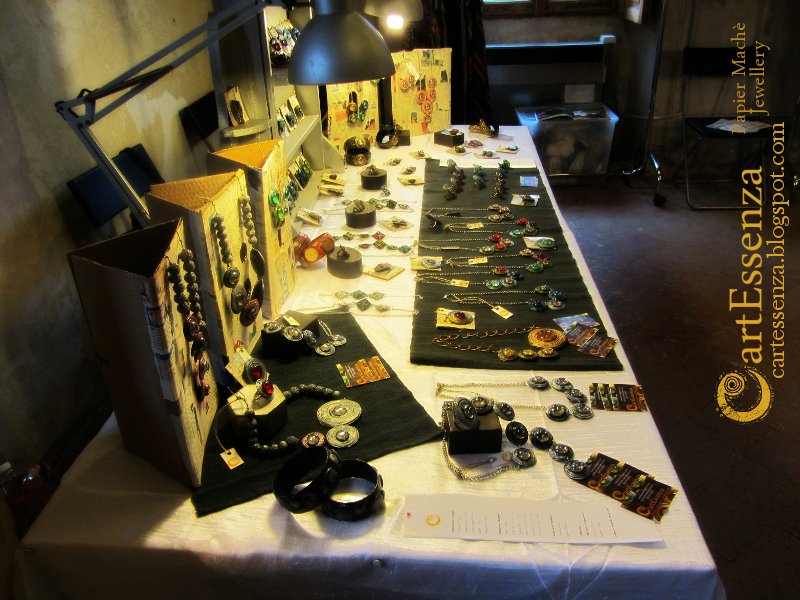 Last, but not least, news, here there are the necklaces' displays made with recycled cardboard. 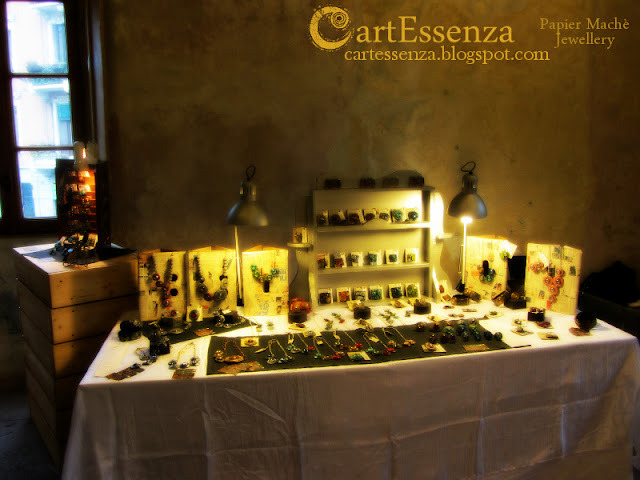 Thanks to the nice tobacco shopkeeper under my house that kept for me some packaging boxes and a bit of imagination, I made some perfect and eco-friendly displays for CartEssenza's necklaces. 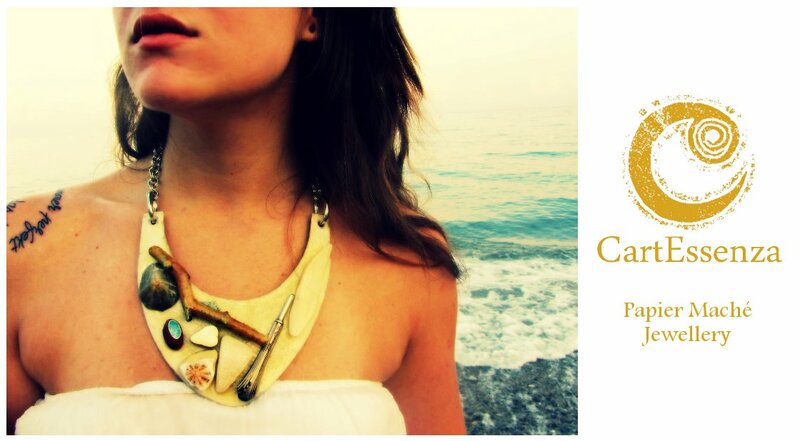 Displays created from recycled cardboard boxes and necklaces, necklaces, necklaces!